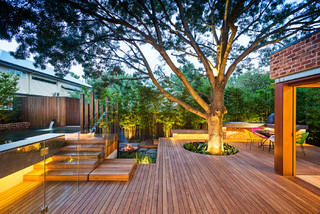 Tim Davies Landscaping | House by the water. Snail’s pace is the only way to describe it. The current rate of work seems to be one job per month. Current state. Work in progress (occasionally). February- remove scaffolding over pool. April – start tiling, concrete roof of storage area. Landscape plan by Tim Davies Landscaping. 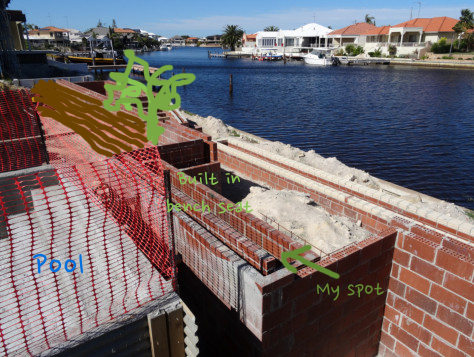 The grand plan for landscaping on our canal and pool side was conjured up 3 years ago. 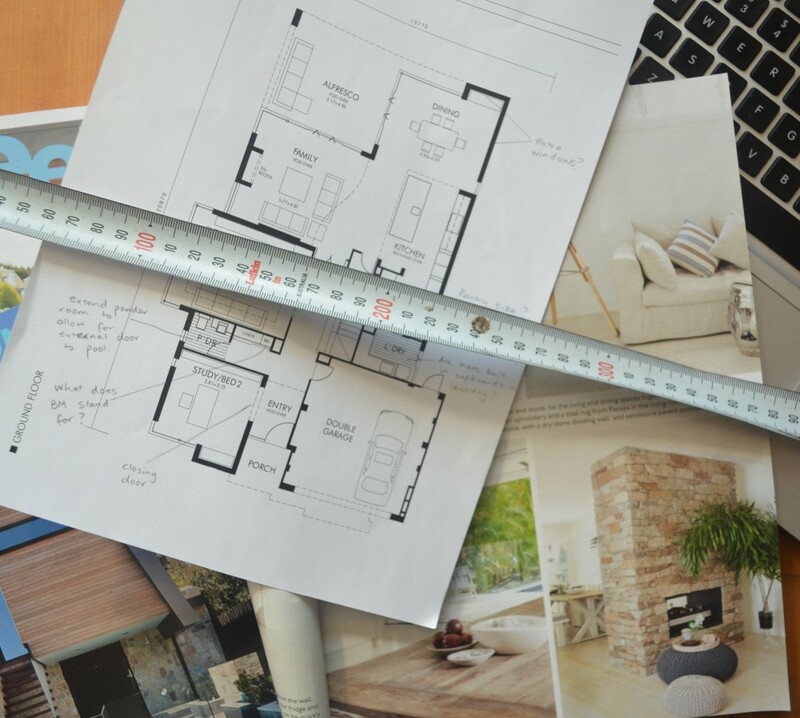 We were wooed by smart landscaping around display homes and the existing relationship between our builder Webb and Brown-Neaves and Tim Davies Landscaping. 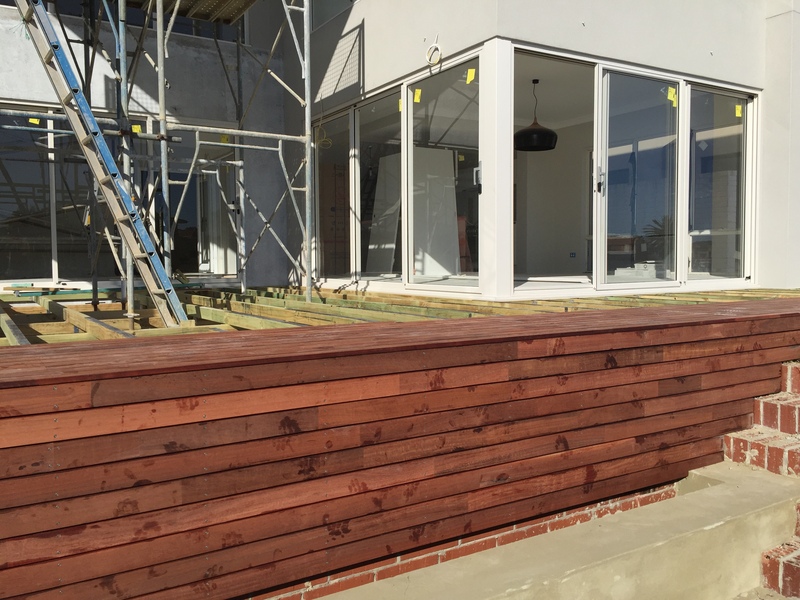 We decided to pay the big bucks for a clever design and for the luxury of not having to find and co-ordinate trades to make a pool, concrete, lay tiles, build a deck, install fences, etc. Turns out the experts also have trouble finding and co-ordinating trades and so it has been a sloooww going. To keep within some sort of budget, we kept at least half of our garden space to landscape ourselves, plus all the planting preparation and planting because that really shouldn’t be rocket science. There is a lot to be done, so we are breaking it into chunks and trying to set some reasonable goals for completion time. I really want the canal-side planter boxes to be filled before Winter. The apparently random planting on the very impressive Esperance foreshore and good ol’ mother nature herself in Australia’s south-west on our recent holiday had me convinced that “au naturale” was the way to go. 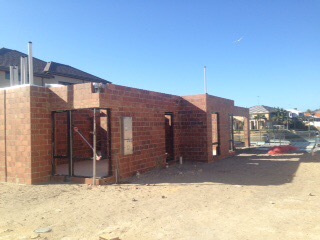 City of Esperance, stunning foreshore development. My Mum and Dad love a good day’s work in the garden. My Dad moved the lion’s share of a truck load of dirt from our front yard to this giant planter box at the back. I had the fun of the first plantings. Dianella. Since we last talked, I’ve been sleeping on a lovely new bed! We ordered an “Iris Dunes” bed from Snooze. They are made to order, in Australia, so I asked for the bed head shape to be varied from the wavy version in the show room. I think it looks excellent! The living room blinds arrived and were masterfully installed by a pleasant fellow from Kresta blinds. One wall of blinds were not measured accurately, so they need to be sent back to QLD for recutting. (Note to self: do not chat with sales lady when she is trying to take measurements.) I was a bit nervous that my dark choice of roller blind would look out of place on our light walls, but I’m very happy with how they look. In fact, they are more pleasant looking than our fairly ordinary window frames. I’m currently typing in our living room, without wearing sunglasses, which is a plus. 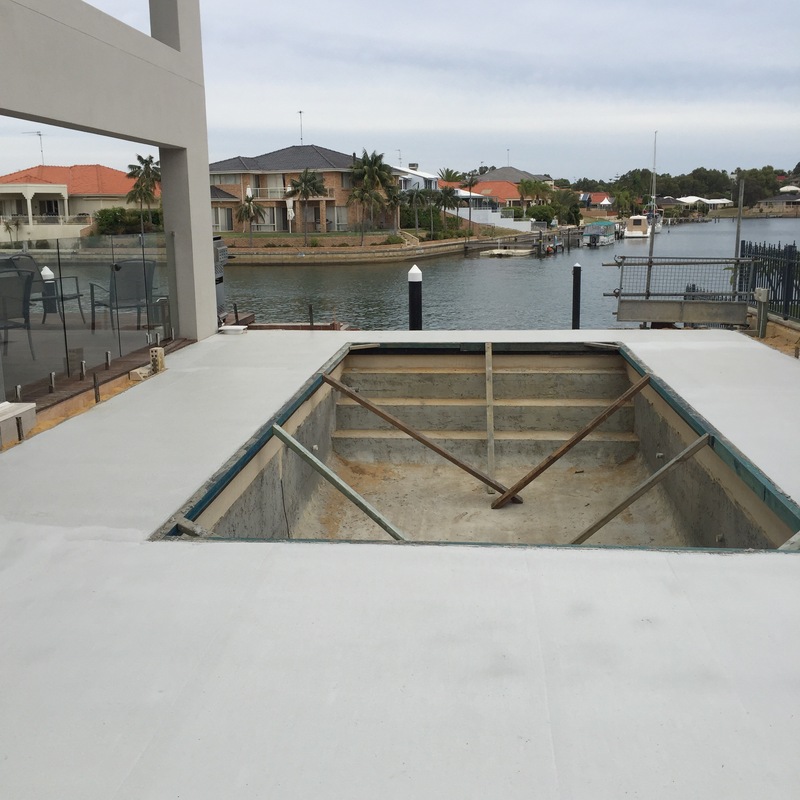 The landscapers concreted around our pool in preparation for tiles. The rate of landscaping progress is excruciatingly slow. Luckily, I’m well trained in patiently waiting for trades to arrive. It’s going to be great when it’s finished. You just need long range vision. Aunty Kate (a.k.a. 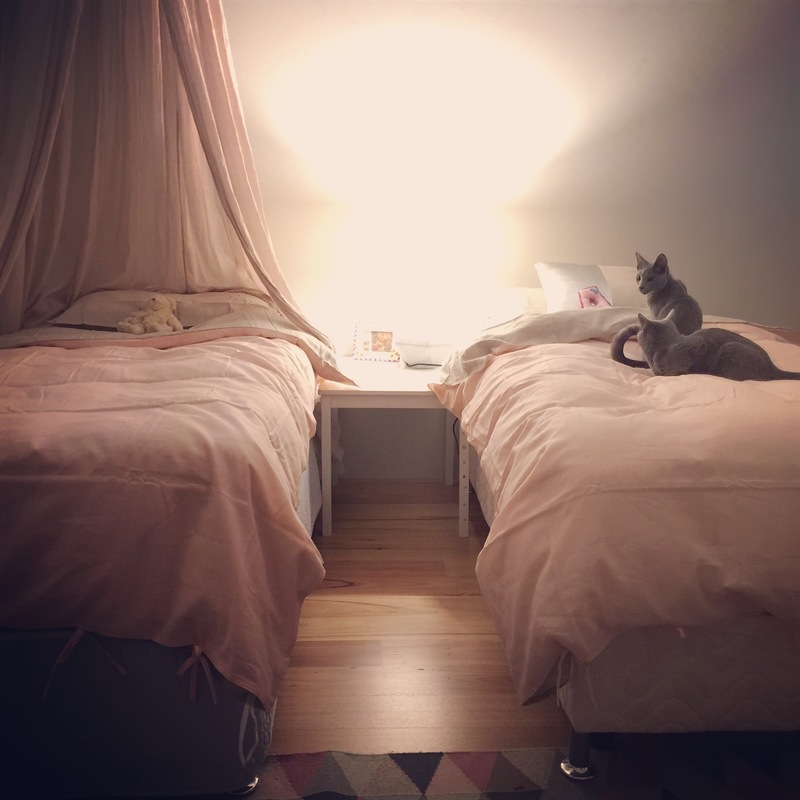 my sister and unqualified, highly-opinionated interiors advisor) is currently in residence. Possibly sleeping off the latest feast on the deck. Of course, I was aiming to impress her. 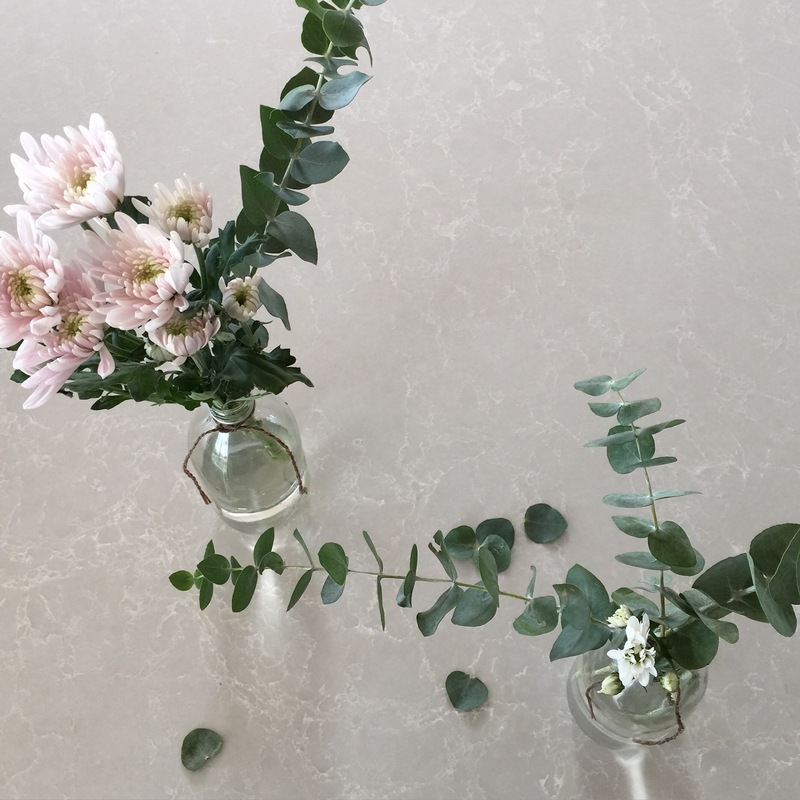 This called for a quick stock up of flowers and greenery from Frisky Deer and a whirlwind cleaning spree. You can imagine that the effect lasted only minutes with the Three Little Pigs around, but I made sure to snap a few pics as proof that House By The Water was momentarily clean. 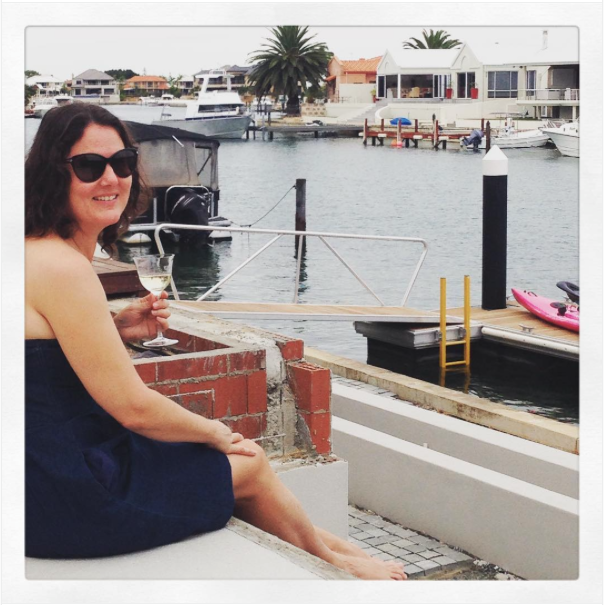 In any case, Aunty Kate has given the official thumbs-up to House By The Water with one exception. The purple blue blind in the powder room. Remember the interesting powder room door? It has clear glass. 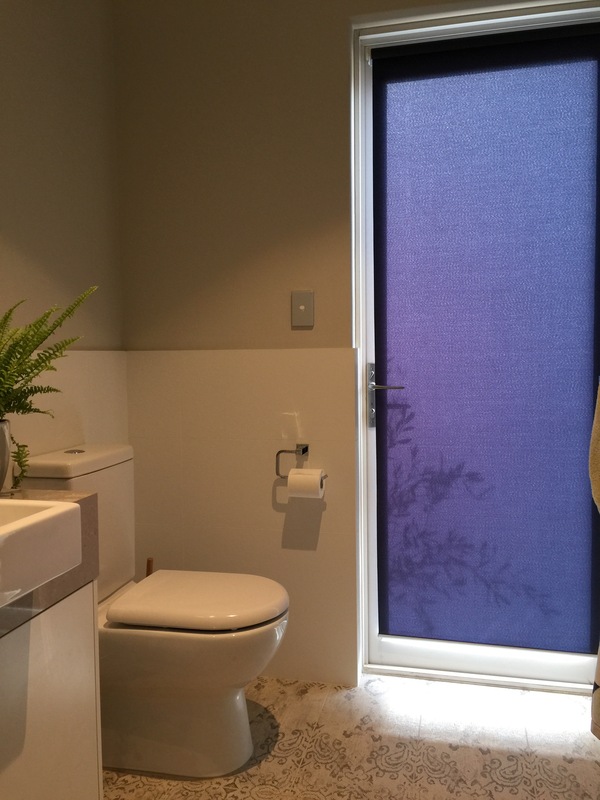 Perfect for sitting on the loo and waving to the neighbours. A bit of a blunder with the building addenda. Various solutions are still being thrown about, but in the mean time, the Handy Wolf and I picked up a cheapie roller blind from Masters for self installation. It was inky blue in the shop, without any sun behind it. It’s vibrant purple in our powder room. 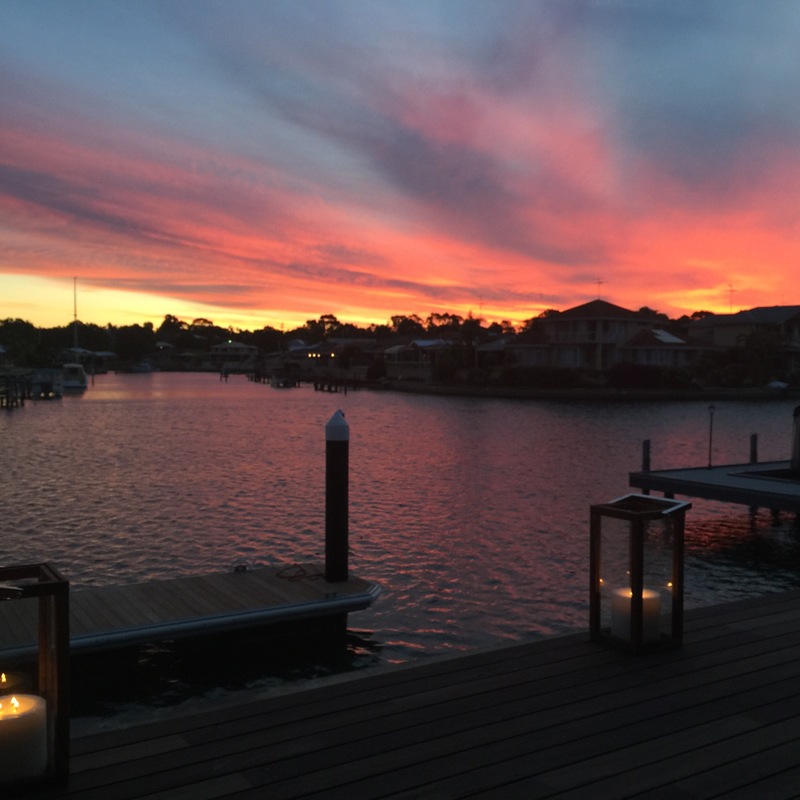 The “to do” list right now seems quite impossible, but with this as our regular dinner time view, how could we complain? “The hostess @housebythewater”. Photo by Aunty Kate. 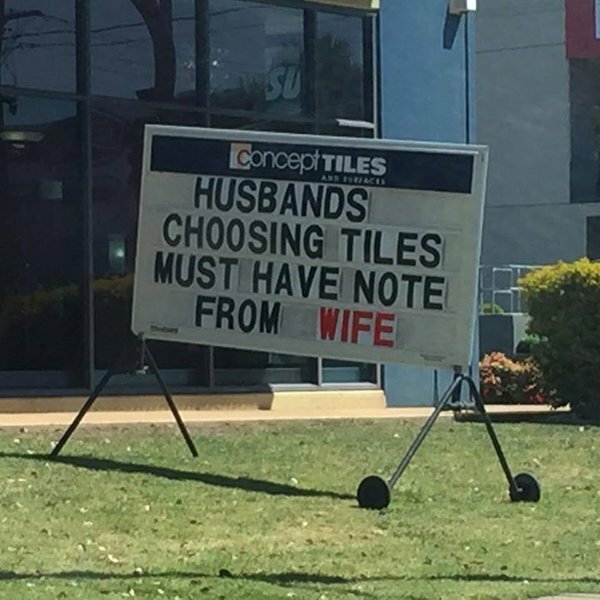 Would you let your husband choose tiles? Alone? Up until this week The Nice Wolf (a.k.a. husband) has been too busy to get involved in the minor details of House By The Water. He’s left all the interior decisions to me and many of the other decisions too. An ideal situation, as far as I’m concerned. Well, The Nice Wolf is now on holidays and has been busying himself with thoughts of reticulation, hanging cray pots from the ceiling, cobblestones and many other future DIY projects. He’s been popping past House By The Water to act as liaison between myself and our landscapers and to submit a daily report on the head count of tradespeople on site. And yes, he had to bring a note from his wife in order to make a tile selection. 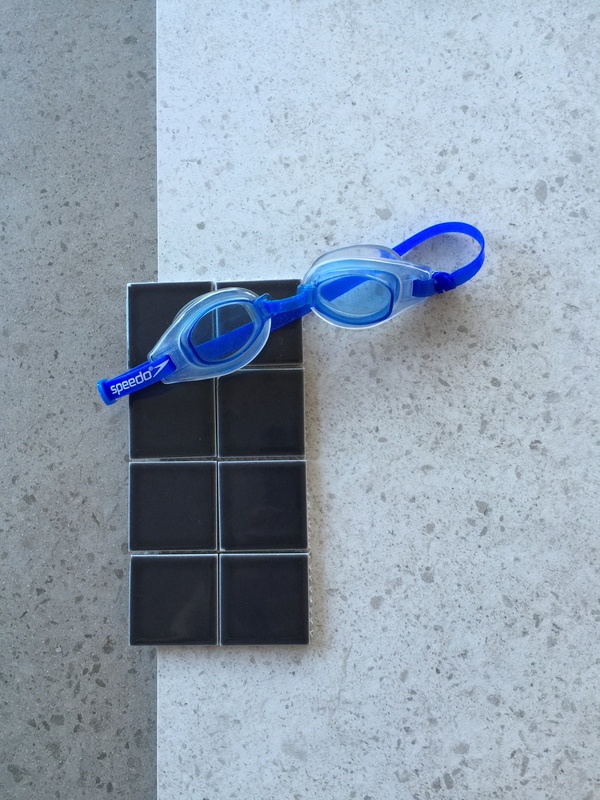 Pool tile samples were duly brought home for my approval. More about that head count. It has been exceptionally high this week. Webb and Brown-Neaves and related contractors have been pulling out all stops in order to get the keys to us next week. On top of that, our landscapers, Tim Davies Landscaping, have started work. My pride and joy. Coco pendant. Looks like I’d better start chilling that wine. I’m very excited about 2015. It’s the year we’re going to have a house. I feel spoiled rotten to be able to say that. The grand plan for “House by the Water”. 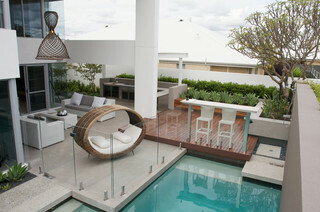 Image by Tim Davies Landscaping. It’s not just about having walls and a roof of our own, it’s about having a home where we can stay put a while and develop roots. I’m excited that my children will be able to have that as they approach their teenage years. But before I get too sentimental, let me tell you about activity on our house in December. The bricklayers reached “plate high”, meaning that the ground floor brickwork is complete. The oven and microwave I selected are also discontinued, but happily not much brain power was required to accept their replacements. I received our first “construction schedule”. I’m very pleased with this, mostly because it gives me a good idea about all the tasks that need to be done and the order, but also because it matches my idea of timing for the house to be complete. Readers who picked early October in the Guess the handover date competition, it’s looking good for you! And on a fluffier note, I’m still basking in the sunshine that was our holiday to Peru. Every moment was fascinating. It was such a surprise to not only be blown away by amazing views, but also by the freshness and colour of everyday life, especially in the rural areas. The people were friendly and the food was healthy, innovative and delicious. It’s hard to fathom that an existence so different to our life in Brazil lies within the same continent. My girls had a marvellous time purchasing cheap textile gifts from the markets and we bought a beautiful throw and a floor rug to remember the local alpacas and talented weavers. Uros islands made from reeds. 5 year old Taquille Island hostess. Top 40 homes and gardens. To end a month of celebrations and self indulgence, I’m sharing my Top 40 favourite pictures of homes and gardens. I thought it would be a cinch to post my favourite pics, but it has actually taken me all month to pull this together. I’ve included all the links to the photo sources, so if you see something you like, click a little further and you’ll often find pictures of the whole house. When you get to the end, leave a comment to let me know which photo you like the best. Previously rentable via One Fine Stay, this New York apartment was renovated by Athena Calderone from Eye Swoon. Style, comfort, warmth and light. A little on the sparse side, but I imagine this house to be very similar to HBTW once we put timber floors in. Somewhere between the extremes of the house above and this one is where I’d like to see HBTW’s aesthetic lie. Amalfi Residence by Bayden Goddard Design Architects. Source: Home DSGN. An irresistible entrance and home amongst the trees. This house says “Australia” to me. Veggie patch in the front yard. Storrs Road Residence by Tim Stewart Architects. Source: Home DSGN. 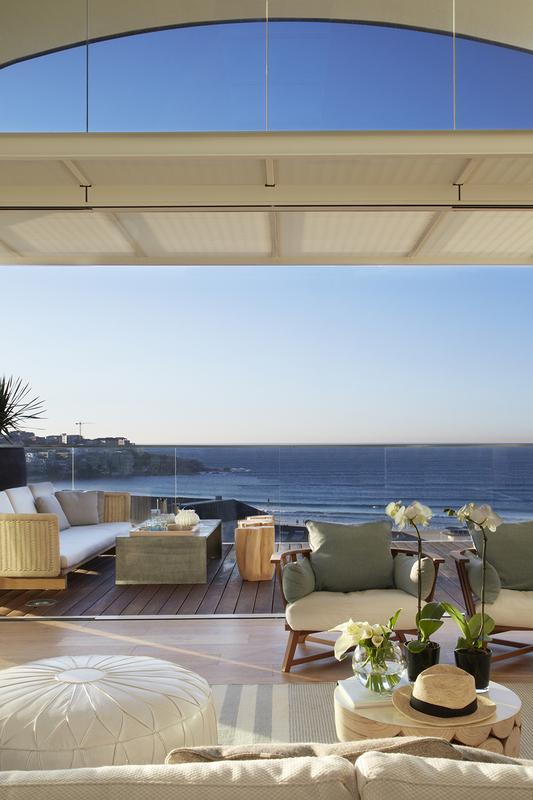 Bondi home with a beach vibe, without being obvious. I love the splashes of blue with white and wood. The brick walls are original. Drama and earthiness in the one space. 5 Best of the West. For more details and pictures of all 5 of these Western Australian homes, check out one of my favourite blogs: House Nerd. 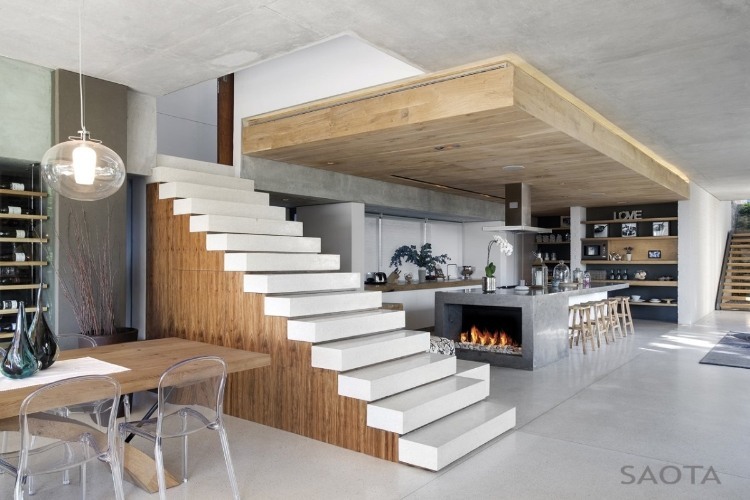 Cambuild’s “light, white, wood-filled house“. Inside and out, I’ll take one of these, please. Photos by Joel Barbitta of D-MAX Photography. A new house with character. Photos by: Joel Barbitta at D-MAX Photography. Jeremy’s house was designed around a marri tree and some special needs. I wish all kids with special needs could have a house like this. The Old Stone Farmhouse is a piece of rural Australian history. It’s filled with goodies old and new, many of which you can purchase on the owner’s website, Cranmore Home. House Nerd has a special radar for interesting houses. This spacious living area was once a church. Photographs by Heather Robbins of Red Images Fine Photography. Top 5 Kitchens from around the world. Unrestricted by safety regulations! Source: Home Adore. Natural light galore and a neutral pallet. Source: Planet Deco. 19th century oil mill. Source: One Kind Design. 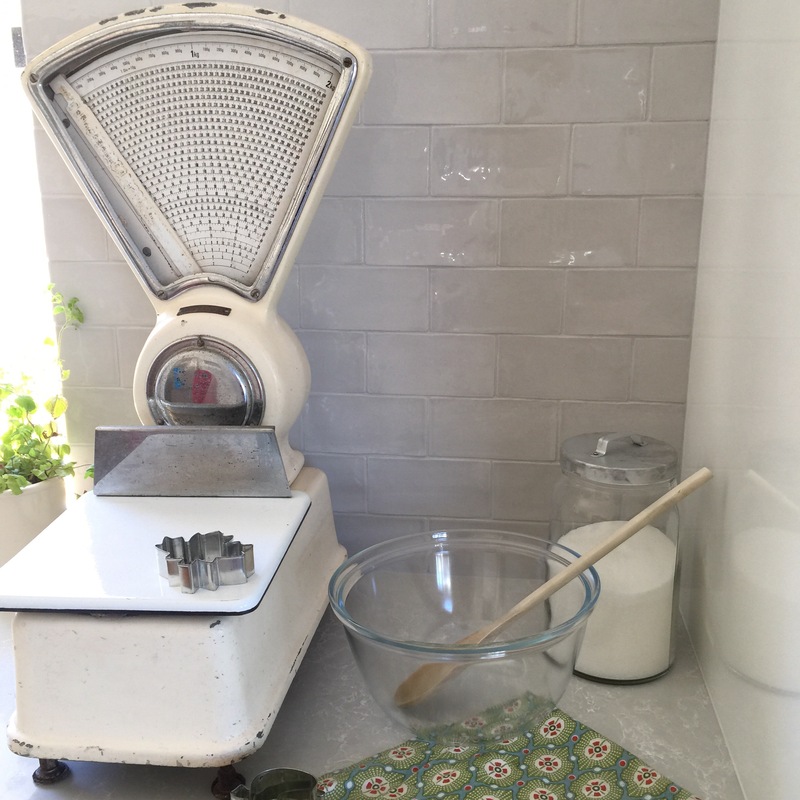 Old meets new in a light and homely kitchen. Source: Sophie Burke Design. My size kitchen bench. Room for the whole family. 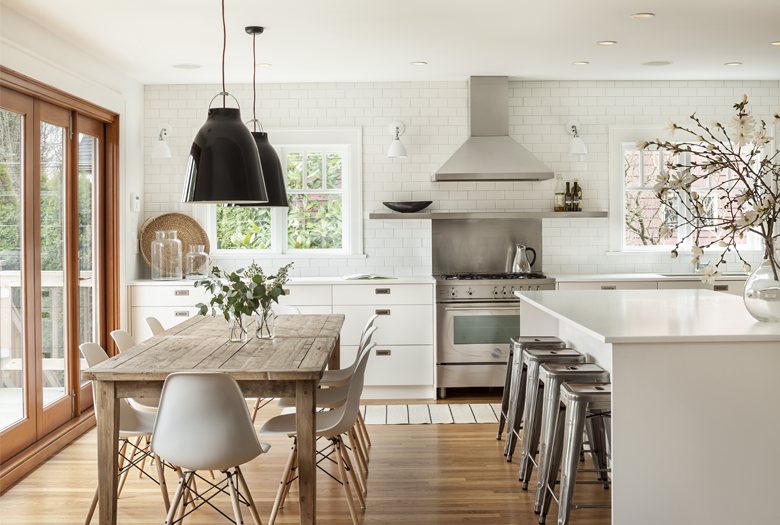 Jenni Kayne’s Los Angeles kitchen found on Architectural Digest. 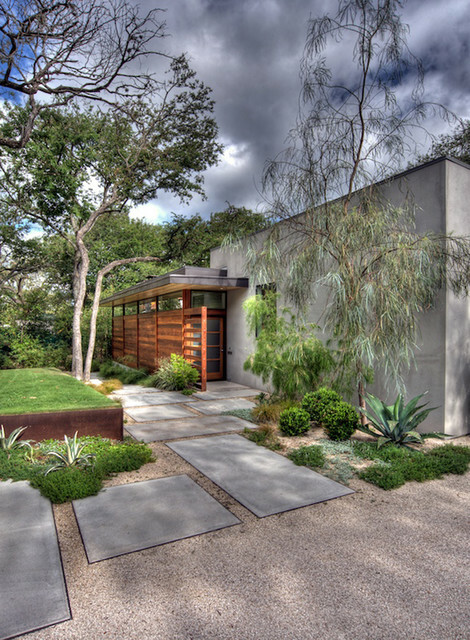 This garden by Tim Davies Landscaping belongs to the original “Rubix” display house – our house plan. There’s so much I love about this Melbourne back yard; the decking, the timber “soldiers”, the pizza oven, the brickwork, all designed around the tree. 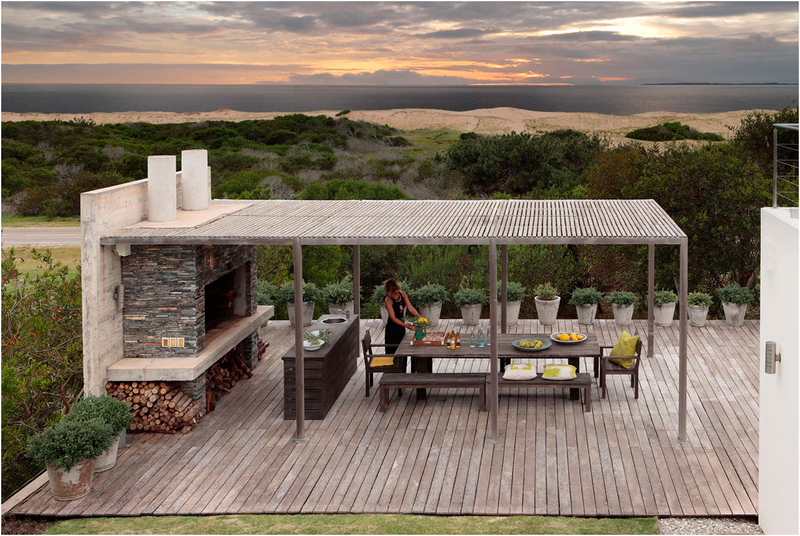 From Punta del Este, in South America, my ideal outdoor kitchen and dining room. With similar “back yard” space to us, this Sydney yard has always stuck in my mind. The fish pond and pool connected by a “jetty” is such a unique touch. By Pepo Botanic Design, Sydney. 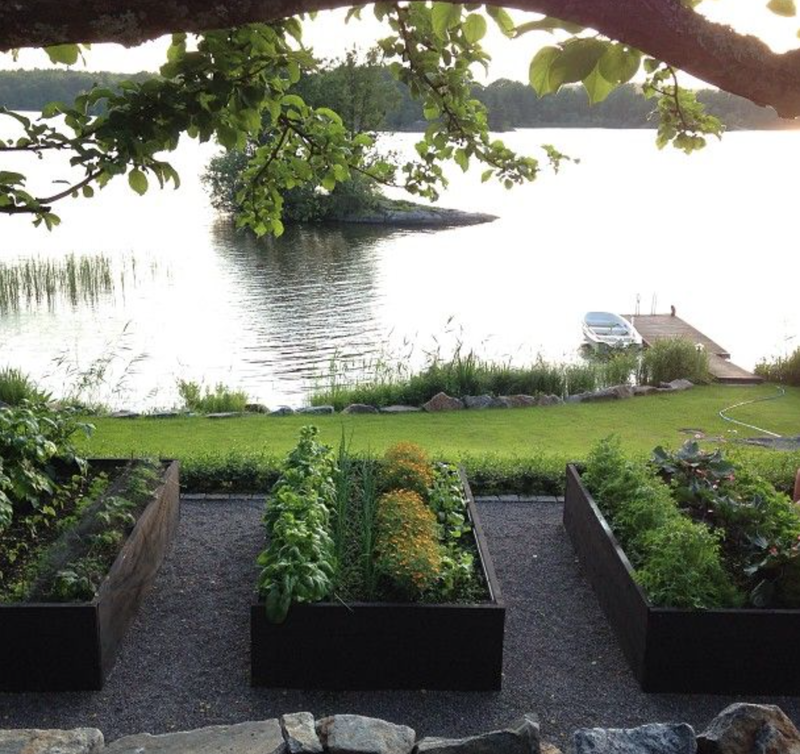 This garden is in the U.S., but it would look equally at home in Australia. Rust for the outback, big trees for the bush. 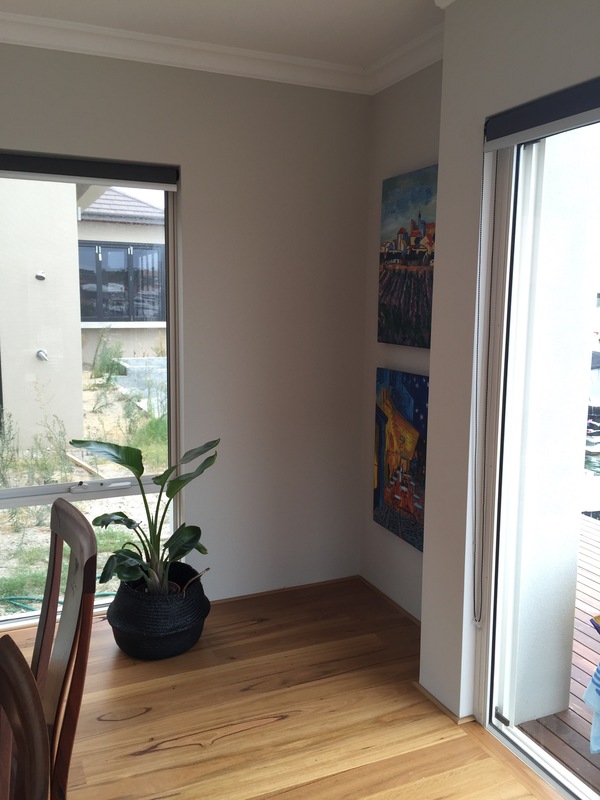 Sofa ✔ timber floors ✔ single grey wall ✔ art made from material ✔. A master bedroom that manages to be light and moody all at the same time. 3. Probably any room from this house could make it onto my Top 5. Check out the whole house, it’s full of nice surprises. The stand outs for me are the art, the large windows and the floral additions. Remodelled mill house. Source: One Kind Design. 4. I like my light and I like my trees… you might need high fencing between neighbours for this one. The house to which this bathroom belongs is probably not what you’d expect. 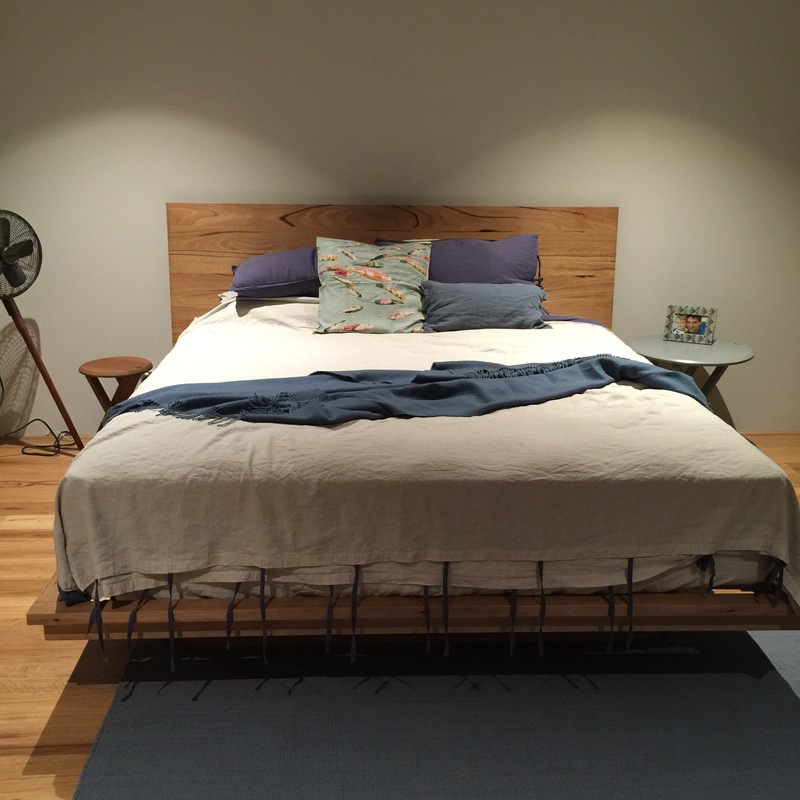 Mark and Louella Tuckey’s home, filled with Mark Tuckey‘s Australian made furniture and relics from an Aussie life. 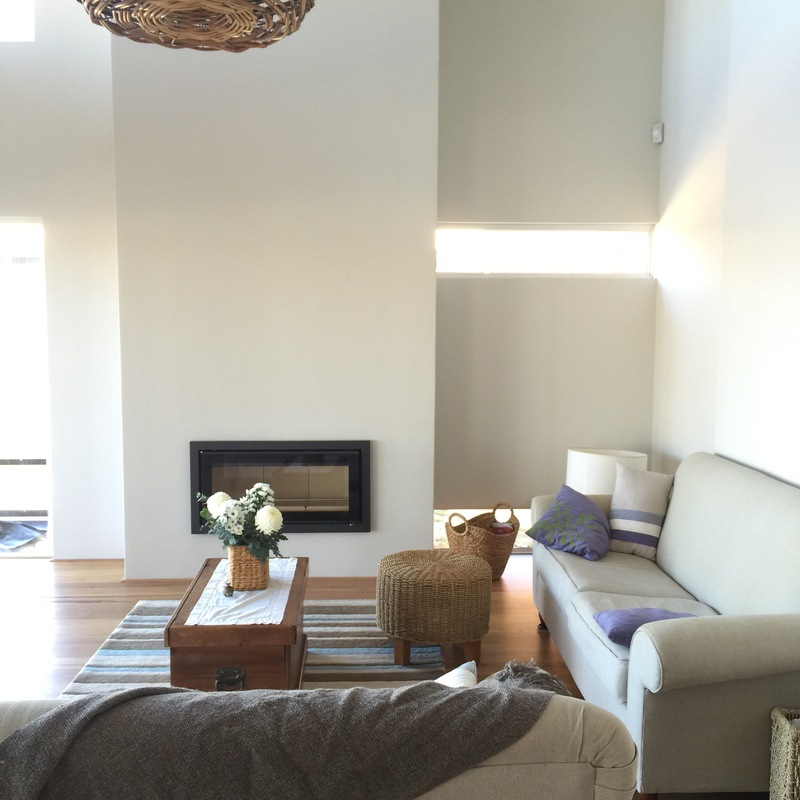 Jan Juc house showing off custom made cabinetry and Aussie-made sofas. Inspired by and built into the sand dunes near 13th Beach, this house is a beautiful work of art. Have I already mentioned that I love Melbourne? Fitzroy is the place to be. Australia’s answer to New York’s loft conversions. So cool. My kind of beach house. Relaxed. On the New South Wales Coast. Source: Desire to Inspire. 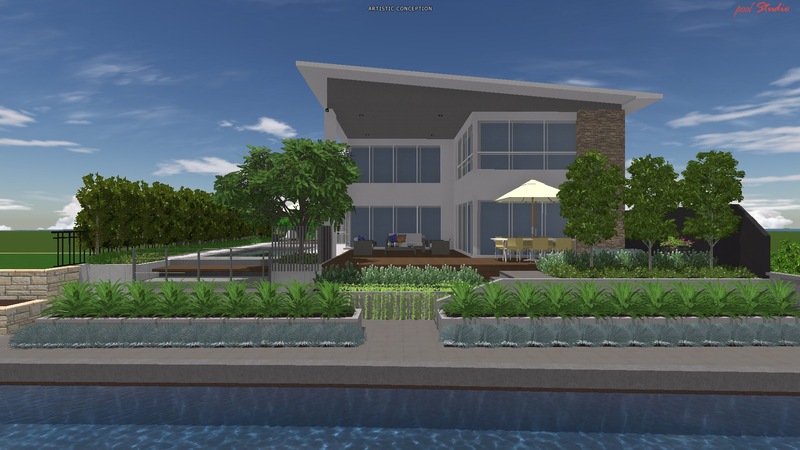 Not your average display home…. Apartment display suite at Bondi Beach. Source: SJB architects. Sydney knows how to do water views. Source: Home Adore. Top 5 spaces for “my next life”. I will, of course, be French! I will have chooks and a veggie patch large enough to be self sufficient. Then laze in my outdoor bathroom. Site progress is going swimmingly! And what a beautiful chunk of concrete it is. A wooden bench seat is going here. Throw on a couple of outdoor cushions and I’ll be set for the afternoon. …I should have had that ice bucket installed up this end. The pool was whipped up in a matter of days and the site was handed back to the builders. 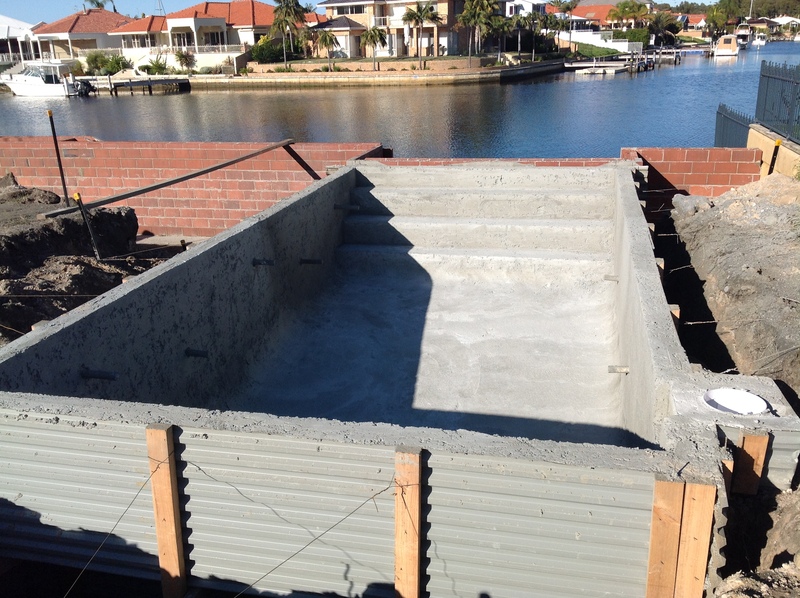 Set up scaffold over the pool (for safety) and along the retaining wall. Fill the retaining wall cavities. While the concrete is curing, waterproof the back of the walls. Prepare the house pad for the slab. I am eagerly waiting for the site supervisor’s next report, any day now, confirming that these tasks have been done. In other minor news, I have subscribed to Nearmap for one year. Nearmap is a provider of aerial photographs. 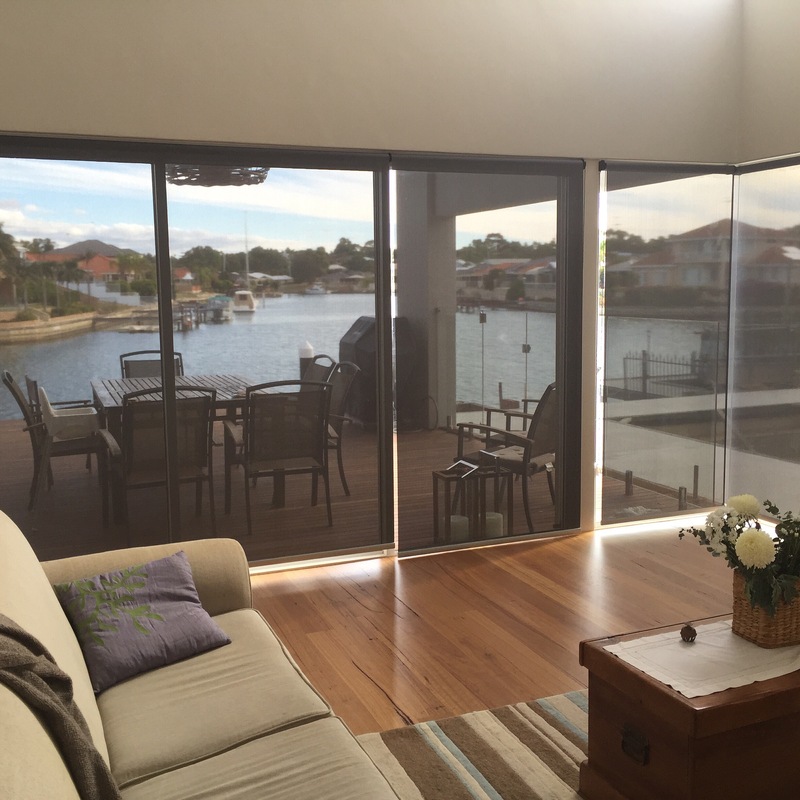 Initially I was put off by the high price of $200 per year, when the Mandurah area was only scheduled for 4 updates in the next 12 months. So I let it go. My hesitation paid off and a half-price offer appeared in my inbox. $100 for one year. Still expensive photos at $25 a pop, but you know how I like my photos….. It has been fun to check out the block over time (Nearmap pictures for our area date back to 2009) and to see some of our previous homes. Are pictures of piles of sand and curing concrete not your thing? Don’t worry, I’ll be philosophising about home cellars, libraries, rugs and spaceship lighting again soon. Maybe one of those topics is up your alley?